Zounds Hearing Aids Reviews - Are They Worth The Money? UPDATED November 2, 2016 – Zounds Hearing Aids Reviews provides customers a comprehensive comparison of Zounds hearing aid models. 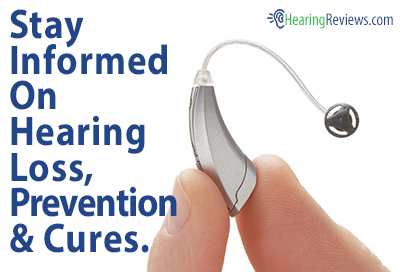 Zounds hearing aids is a hearing aid company that has been in business for a very long time. In fact, they have helped pioneer some of the advances which every company within the industry has benefited from in recent years. Zounds Clareza hearing aid system consists of truly state-of-the-art hearing aids offering the best in voice clarity and noise cancellation, among other incredible features. As a matter of fact, this particular model has been highly recommended by many ear doctors for years. Zounds Potenz hear aids system includes top-of-the-line hearing aids offering high-quality voice clarity and superb noise cancellation. Many people like the fact that this particular model is easy to clean and maintain. The Zounds Riazo hearing aid system includes state-of-the-art hearing aids offering the best in voice clarity and noise cancellation, among other incredible features, all for a great price that is sure to fit virtually any budget. This is a great hearing aid for people who have an active lifestyle. The Zounds ZENETA Micro ITC offers world-class audiology which means amazing clarity in an almost invisible-in-the-canal design. Given the fact that this is such a small unit, it is perfect for people who desire a discrete device that will not interfere with their day-to-day life. Zounds ZENETA Micro BTE is a hearing aid that gives users incredible high-quality performance. This means amazing clarity in a virtually invisible behind-the-ear style which some people prefer. In conclusion, Zounds hearing aids have a reputation within the industry for being very customer focused. That means that they do a lot of research to determine what people are seeking. Their engineers and go to work on creating hearing aids which not only meet but often exceed what customers are actively seeking. From a pricing standpoint, Zounds creates hearing aids that fit virtually any budget. Multiple price points can be incredibly good news for people who may not necessarily have a lot of money to spend but are interested in dramatically improving their quality life. Purchasing a hearing aid made by Zounds which can significantly improve everyday conversations. 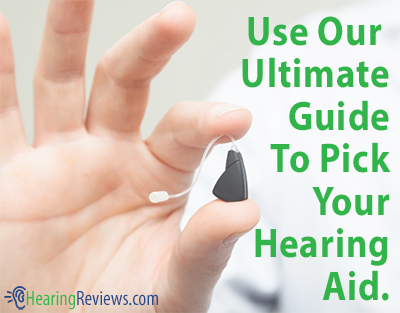 This isn’t the only model we have, see the other Zounds Hearing Aids Reviews. Zounds has not been in business for a “long time.” They were founded a little over 5 years ago. The company filed for chapter 11 reorganization in April 2009 which helps the company restructure under bankruptcy protection. Zounds is not a leader in the hearing aid industry, as this advertisement implies. They have not “pioneered” advances. Their products attempt to replicate what other manufacturers have already designed. zounds hearing aids are cheap and unreliable, buyer beware, the technology is not new. they are made in china, dont be fooled by their claim of american made. zounds cares nothing about customer service only sales. if a specialist doesnt make a sale, chances are you will never see that specialist again, the company is a dying company, and product is unreliable and cheap.and over priced.higher up do not know what they are doing, the managment team is very poor, and they do not have an audiologist on staff, and have only temperary licensed people who are inexpeienced with no proper supervision, from a licensed audiologist. Can you use a phone normally with your hearing aids? I can with my Zounds. were replaced for free and are now much-improved. Service has always been exemplary. I’ve never felt pressured to make a purchase. People are always impressed with the features and performance of my hearing aids. I don’t hesitate to recommend Zounds to anyone. I have used the hearing aid for about 4yrs and am currentley on my second service agreement. The agreement does not cover the links which are poorly designed and manufactured. I am presently on my 6th link and at $38 a link it becomes quite expensive. A major marketing point was not having to replace batteries, but having to replace links is also expensive. Am also unhappay about about the frequency response of the hearing aids along with the constant squealing that my wife and grandchildren are annoyed with when they are in use. The tchnician is unable to adjust frequency response consequently they are nothing more then an amplifer. Extremely unhappy and am in the process of contacting the Better business Bureau. Great company, personal services and the equipment to meet my moms special needs. Why do you make it so difficult for me to leave a comment ????????????????? I don’t like the holder for the hand held device for operation. It sits too loosly in it cradle and looses contact to continue to recharge. Had my zounds for 8 months. I’d rate them about a c-minus. Some of the claimed benefits – even after several follow-up visits to tweak the settings – simply do not work. Flimsy hardware and the customer service at the local store was rude when I needed follow-up help. 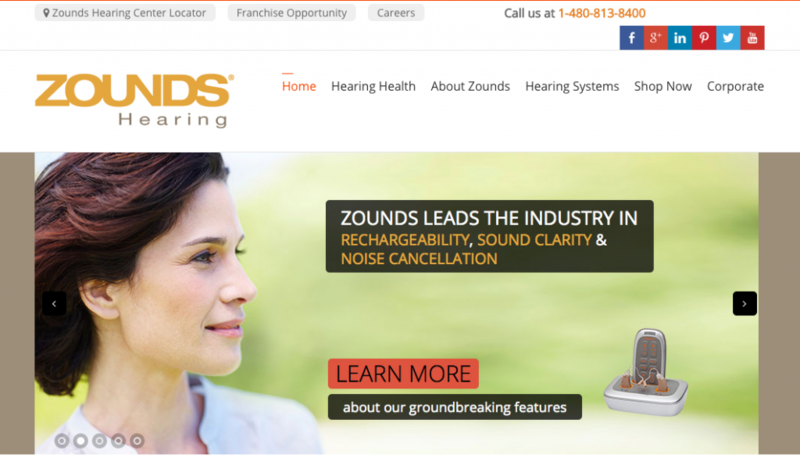 Most zounds stores are franchisees who know nothing about hearing, they are in it for money. Avoid them. I have had my ZOUNDS since the company first opened their Arrowhead store in Peoria, AZ. We have had to change batteries occasionally and have changed links a couple of times, but in my humble opinion (thanks Jack Durante) it has been a great experience. Great service. Super knowledgeable people. Terrific pricing. Wonderful product. A lot of bang for the buck! i just purchased a zounds hearing aid – the kind you cradle on the ear lobe and insert a plastic dome into the ear – i have had trouble with constant itching when i wear them- despite using baby oil and wax remover – are there any others out there with similar problem? I have Zounds about 2 years, They closed the store near me and am now out of luck. The so called rechargeable only last about a year and then need replacement. Where is the saving? The domes are cheap quality and are miserable to use and need constant replacement. Very bad all around. The first 30 days I encountered as many different settings as possible, the clarity, noise elimination and zero feedback noise took away all of my fears in purchasing Zounds, the Horror stories from others including family members were put to rest. I do not refer to mine as Hearing Aids. No noise feedback, no Battery changing, no constant running amplification up and down, makes the Title of Hearing Aids ancient Technology. FYI to all Zounds patrons. If you purchase two hearing aids from Zounds and wish to return them for any reason, there is a $200 restocking fee per hearing aid. You will automatically lose $400. BUYER BEWARE!!!! This is not true for all stores. I purchased a pair of Clareza 16 near Phia, PA and there was a 60 day trial with no restocking fee. I purchased from them less then 1 year ago at Boca Raton , Fl. I bought a now useless service contract, as this store is gone. Nearest dealer is 60 miles away, or in Arizona. Steve I have been wearing the zounds hearing aids for about 5 years now, I think they are a waste of money. I went from $3500 a pair to the more expensive pair at $4500 because they said I Needed more power. Well things only got worse, they break down more. They have been to the repair shop in Mesa 3 times in the last year, and no reason of why they are breaking down and I am left without any replacements until they send them back. Sorry but I think somebody should be overseeing these companies because they are all stealing money for just an amplifier. We the people who need to hear must stick together and take down some of these rip-off companies. Zounds is one of them, excuses and more excuses. Research another company. Very bad quality. The Zounds store near me closed and am now out of luck. The so called rechargeanle battery only works up to a year and then needs reolacement as do the ear buds only last a few weeks, Where are the savings? All around miserable experience and a rip off! I had same problem. After spending over 3K for the aids the local store (Wappingers Falls, NY went our of business. To get any service requires sending aid away and waiting 2-3 weeks to get them back. DO NOT RECOMMEND this company. This is an unstable company. They have moved from Mesa to Tempe to Chandler, and I don’t know where-all. Virtually ALL franchises in Michigan have failed and are long gone (of course, I found this out after I needed service). If you send the aids to corporate, say for battery change, be damn sure you don’t send them to the last known address. It is impossible to speak to a human, or even to an answering service anymore. My aids are presently lost in Tempe, because they must not have provided the Post Office with a forwarding address. Also, they DO NOT answer emails. All characteristic of a fly-by-night operation. Somehow I hope my aids are found and returned to me in whatever shape. I may be able to do something to get them working again. In the meantime I will probably go to Costco and get their Kirkland signatures for less than half what I paid for my Imprezos. I am NOT sold on rechargeables because of the service problem potential. Had the batteries replaced once, free of charge. Now another one is bad and no Zounds store left open to get a replacement battery. No, I would not recommend Zounds. Stick to a brand name. I do not see on their webb site where batteries can be purchased and no one has rechargeable aid batteries. Wasted $2500.00. I have Zounds aids I bought about 3 years ago in Westford, MA. The office closed last year. I didn’t research as much as I should have before buying, but I was reasonably pleased as long as I had a place to take them for adjustment. However, I need to replace them soon, and will probably go with a battery-type next time.. My main problem has been that they don’t hold a charge long enough. (I watch late-night TV.) If I use one aid early in the day and the other for night viewing it works fairly well, but they aren’t likely to work much longer.